Exclusive access to Special Offers, Last Minute Deals and More! Benefits are valid at Speidel, Crispin and Wheeling Park. Valley Pass available to those residing in the below zip codes. Must provide photo ID to verify zip code. Valley Pass special offers are not transferable, and not valid with league, outing, or package play. Ohio, Marshall, Hancock, Brooke, Monroe, Belmont, Jefferson, Greene, Washington. 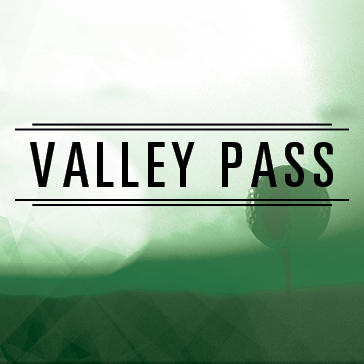 The staff at Oglebay Golf wants to thank you for signing up for the Valley Pass. The pass is intended to give our local golfers the opportunity to play at an affordable rate. The next time you play or, stop by at either Crispin or, Speidel please have your driver’s license and let the golf shop staff member know that you signed up online for the Valley Card. The process will only take a minute. On top of standard discounts you will also receive with card, you will receive an occasional email to play on certain date or, times to receive even greater discounts. Thank you for signing up and spread the word to all your golfing friends.